If you are looking for an upscale dining experience, look no further! Located at the top of the Contemporary Resort is California Grill. 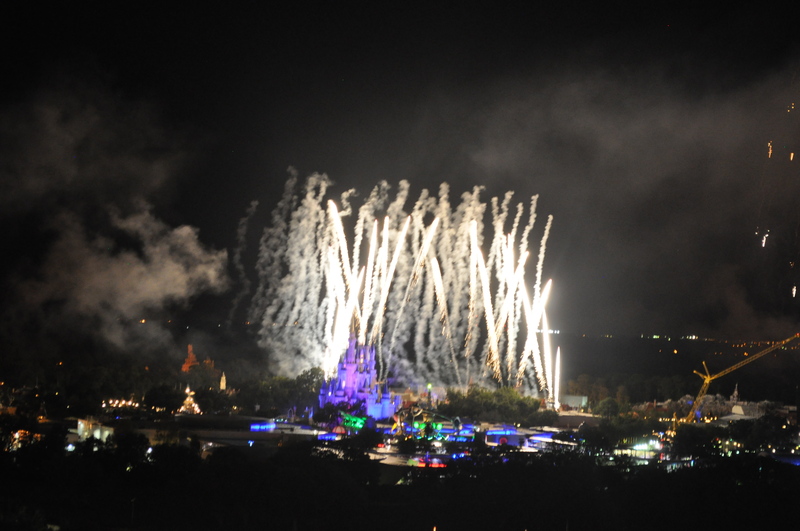 This restaurant offers the best possible view of the Magic Kingdom while you enjoy a wonderful meal. Begin by checking in at the podium located on the 2nd floor of the Contemporary Resort. Relax in their plush waiting area until your name is called and you are personally escorted by elevator to the 15th floor where the restaurant is located. 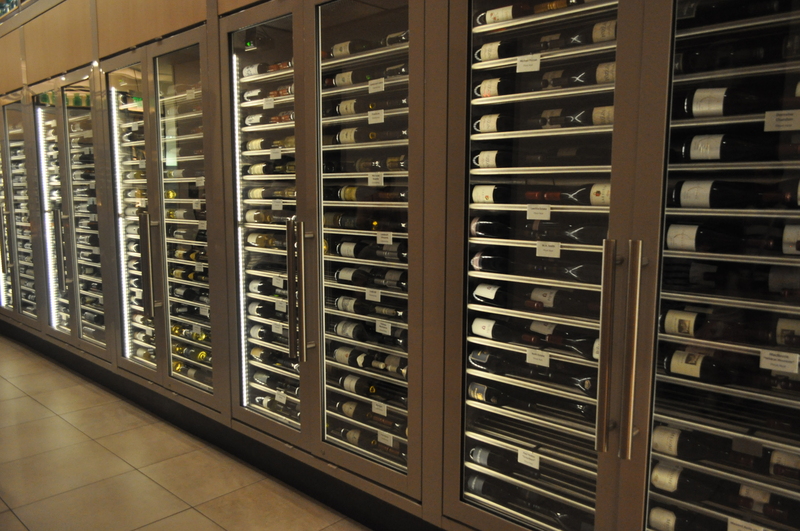 As you step off the elevator, you are welcomed by the 1,600 bottles of wine waiting to be ordered. There is not a bad seat in the house but if you’re lucky, you will end up with a table by the window. California Grill has an extensive wine menu along with many signature drinks to choose from. They are famous for their sushi appetizers. The Spicy Kazan Roll is one of my favorite dishes in all of Disney World. They also have flatbreads, meatballs, fish tacos and more on the menu. Entrees include steaks, scallops, chicken and more. Dessert dazzles everyone with choices like creme brulee and homemade fritters with dipping sauces! With such a fancy establishment, don’t be afraid to take your kids along. The menu is very kid friendly and so is the staff! My kids were given mini-Etch-a-sketch’s to play with instead of the normal coloring pages. The kid’s sushi dessert is one of their favorites and they beg to go back here on every trip just for that! When it’s time for fireworks you can be assured, your waiter will cover your food for you if you want to step out to the observation deck. California Grill does accept the Disney Dining Plan. This is considered a “Signature” restaurant so that means it is 2 table service credits per guest. There is also a dress code for this restaurant. Ask your travel agent for details. 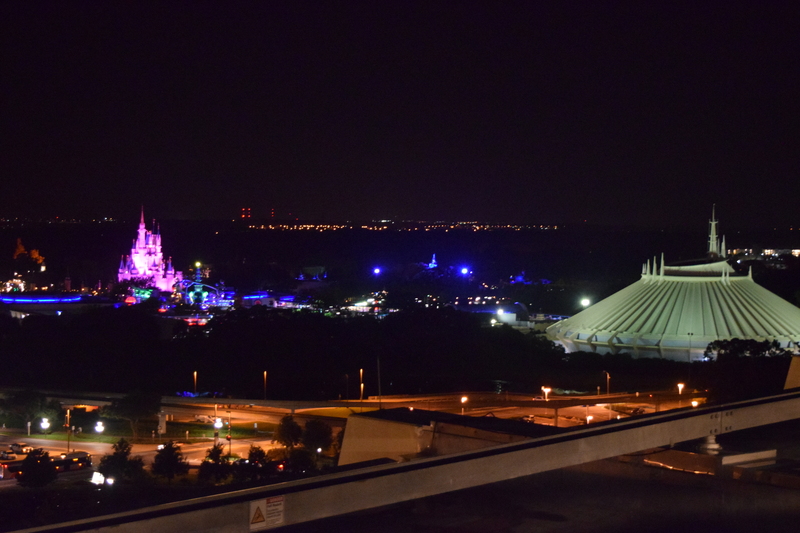 So on your next Walt Disney World vacation, try out California Grill if you’re looking for an amazing meal with an even more amazing view. It cannot be beat!